I hate to admit it, but the first thing I do in the morning is grab my phone. Anyone else? My phone serves as my alarm, so it is the first thing I grab every morning. But what I do with my phone in those following few moments is key to how the rest of my day will go. For a long time, I would immediately check social media or my email before I knew it 30 minutes had passed and I had accomplished nothing. I decided to turn those moments into something productive. 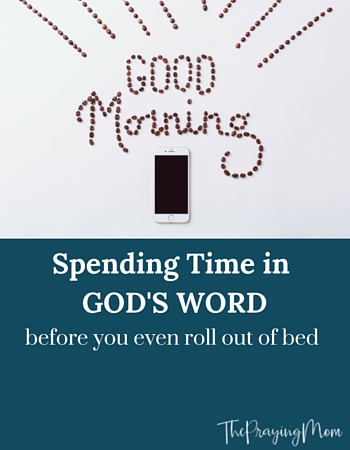 I began using an app on my phone to spend time in God’s word before I rolled out of bed. The key is to do this before you do anything else on your phone. It might take great discipline at first, but it is a great way to gain perspective on the day and start off in the right frame of mind. P.S. If your babies wake you before your alarm and you can’t do this before you roll out of bed, I encourage you to carve out a few minutes in the early hours of the day to check out one of these resources. I have used several & enjoyed each of them for certain reasons in different seasons of my journey. 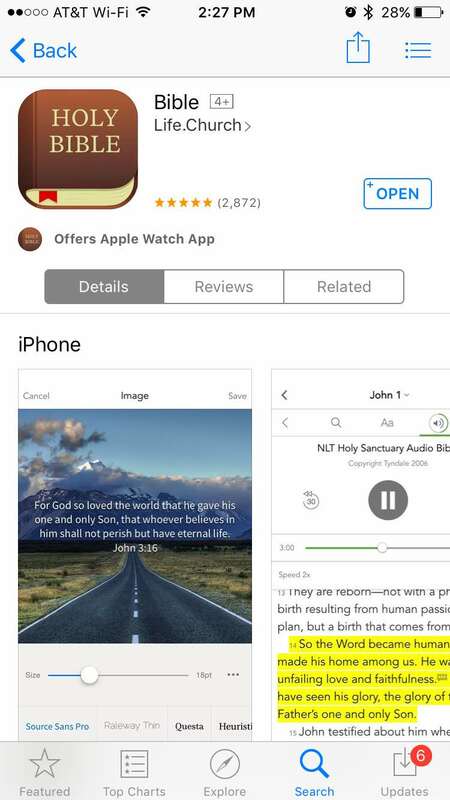 This is one of the most widely used Bible apps out there, but you may not know all the cool features that it has. If you know much about me, you know that I am a big fan of Jennie Allen and the IF:Gathering. I have used this app since the first installment of IF:Equip a few years ago. I even got to be a part of one of their early promo videos and talk about my sweet son Caleb. They have recently launched a new version that is beautiful and geared toward women’s creativity. The content on this app is always extremely thought provoking, life giving and deep! I LOVE all the IF girls and I think you will too! Their study on the Nicene Creed called “I Believe” is the best comprehensive look into the foundations of our faith that I have ever seen. It is beautifully written! 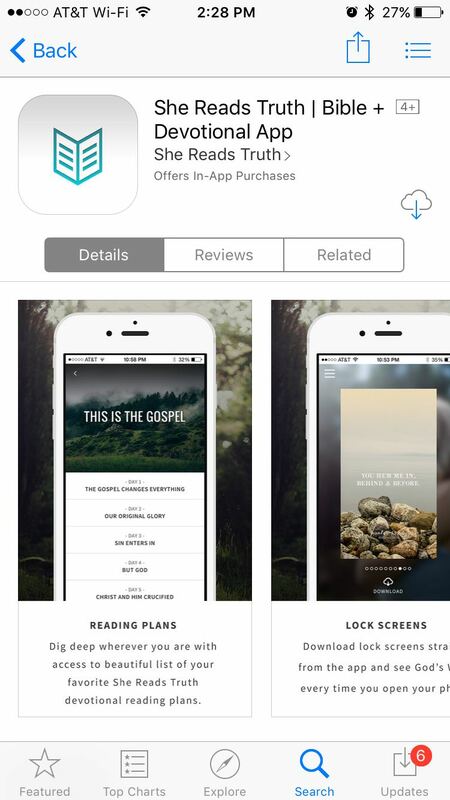 Check out the IF:Equip website or download the app on your phone’s app store. 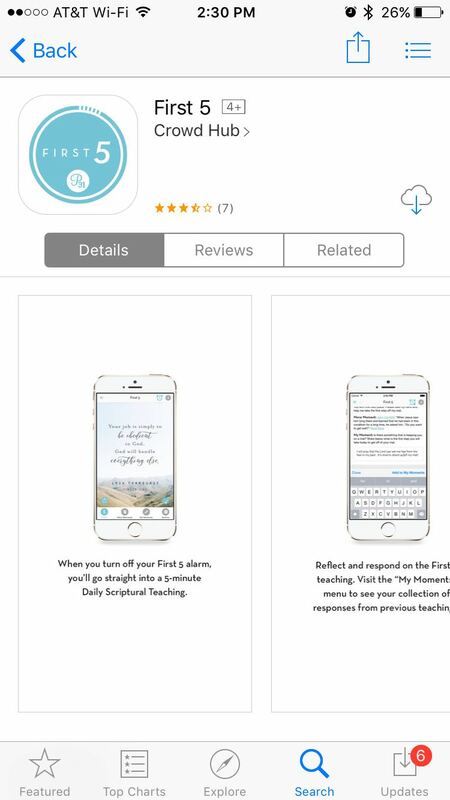 This app is from the ladies of Proverbs 31 ministries founded by Lysa TerKeurst. You can set your alarm in the app and choose a custom message. As you turn your alarm off, it will go straight to the First 5 for the day. You can record your notes and thoughts in the app & they will be saved for later reflection. There is an option to go deeper if you want more than the daily devotional. There is a beautiful social media graphic each day to share with others. There is an active community of women sharing in the comments to encourage each other. 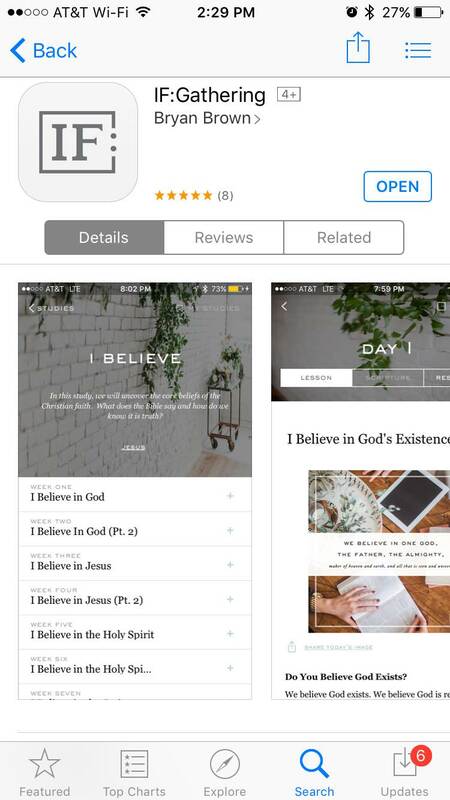 This app is by Raechel Myers & Amanda Williams who are the authors of the study “Open Your Bible”. This is a huge community of women that dive into the word together. There is also a new “He Reads Truth” app that follows the same scripture as the women’s version so you can work through the plan with your husband, definitely a plus! Check out the She Reads Truth website and the He Reads Truth website or download the apps on your devices’ app store. 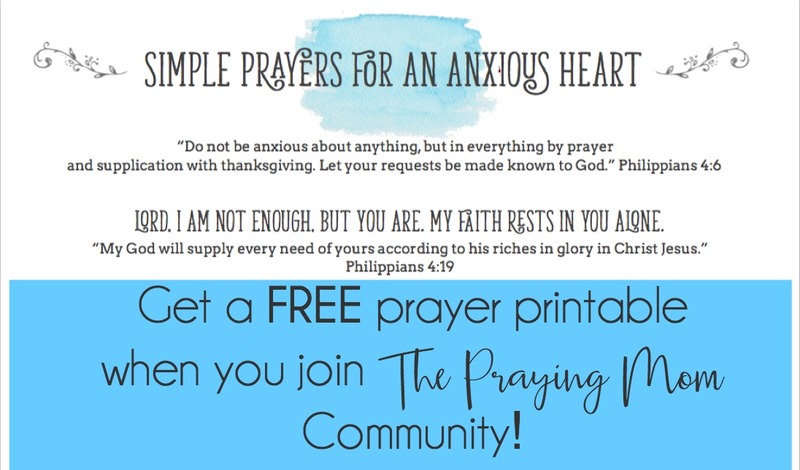 Do you have any favorite apps that you use to connect with God’s Word? Tell us your favorite in the comments.